Capture the whole squad and the view with this camera that flies up to 20 meters in the air. 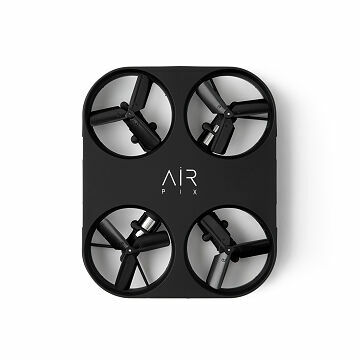 Catch epic moments with your crew using this cutting-edge flying camera. It snaps photos or videos in flight using super-charged, turbo fan propellers that hover up to 20 meters (about 65 feet). Here's how it works: Download the connected app and turn your cell phone into a "remote control." Fly the camera as high as you wish, then snap shots with the 5-megapixel lens. Your incredible selfies download straight to your phone for those social media shares that just can't wait. Made in Nevada. Clean with a damp cloth, do not submerge in water. Protect from rain, snow, and fire.